Two-hole beads are known by many names, from SuperDuo beads and Twin Beads to Tila Beads and CzechMates. No matter which kind of two-hole beads you prefer or need for your designs, the entire category comes with its own unique quirks. 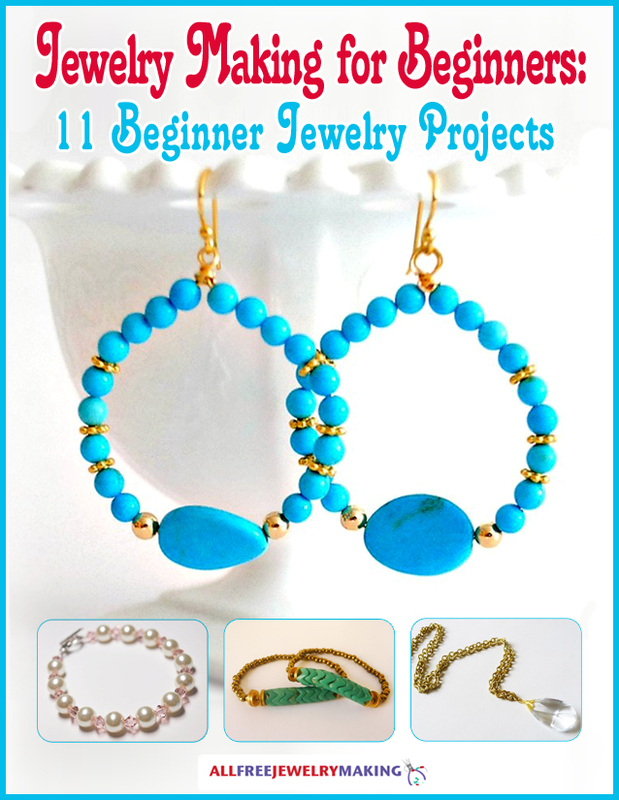 Learn How to Use SuperDuo Beads, Tila Beads, and Other Two-Hole Beads with a little help from AllFreeJewelryMaking! This guide will teach you more about how to bead with these two-hole varieties, and you'll be glad to know that stringing, stitching, and wirework is double the fun with two-hole seed beads! What Is a Two-Hole Bead? Your first impression of a "two-hole bead" is probably the correct one. Two-hole beads are simply beads with two parallel holes through them. While most types of beads have a single channel running through the bead, two-hole beads are double the fun—but can be tricky to work with since they require slightly different bead stitching techniques. What Kinds of Two-Hole Beads Exist? Two-hole beads come in all kinds of shapes and sizes, making them a versatile and interesting type of bead to work with. From tile-like Tilas to oval-shaped SuperDuos, there are a wide variety of two-hole beads you can choose from. Two-hole beads are often designed to fit closely together for bead weaving patterns and bead stitching designs that lie smooth and flat. Experiment with different kinds of two-hole beads to see which ones you prefer to use in your patterns. How Can You Use Two-Hole Beads in Your Beading Patterns? Although two-hole beads may throw you for a loop the first time you use them, you'll love incorporating them into your designs once you get the hang of it. You can still use all your favorite stitches like brick stitch, peyote stitch, right-angle weave, herringbone stitch, and more. For example, where you would pass the thread through a bead hole twice in your normal stitch, your two-hole adaptation might pass the thread through the remaining unthreaded hole instead of doubling up. If you aren't interested in stitching your two-hole beads, they will also work just fine in patterns that call for stringing or wire-wrapping techniques. You can create beautiful bracelets with elastic or memory wire bracelets, gorgeous wire-wrapped earrings, and other DIY jewelry projects that don't require stitching. What Else Should You Know About Two-Hole Beads? Because of their uniformity, two-hole beads are considered a type of seed bead, though they may be much larger and come in all kinds of different shapes. It's also worth noting that different types of two-hole beads are made in different ways, which can affect how they work for you in your patterns. A package of beads made by a tumbling process will be more irregular than those made by a pressing process. These processes may also block one or both of channels in some of the bead, so always be sure to check that you can slip your needle through both holes before incorporating them into your pattern. You wouldn't want to have to undo your beautiful stitches just because of a blocked hole! Now that you're up to speed on working with two-hole beads, try some two-hole beading patterns and enjoy your new skill. After all, free beading patterns are twice the fun when you get to use two-hole beads! With this collection of 17 Bead Patterns for Two-Hole Beads, you'll be an expert on using two-hole beads in all your favorite beading designs. These free beading patterns use Tila beads, SuperDuo beads, and more to create beautiful DIY jewelry pieces that will have you dressed to impress whenever you wear them. There's no doubt that DIY jewelry is twice the fun with two-hole beads. These patterns were designed with two-hole beads in mind, so browse this collection for inspiration! Your turn! In the comments below, tell us your best jewelry making tips for working with two-hole beads! I am looking at making a bracelet with two hole beads. But I have never made one so I was checking out different patterns and ideas. I found much more than that here. I found out how different ones are made, what's the difference in beading, and what's best for my particular project. Thank you so very much for your time and information.